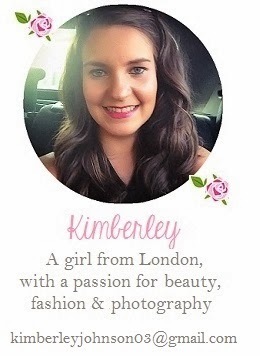 If you are a big candle fan like me the products mentioned in this blog post are a must try. I first tried Kiss Air Candles a couple of years ago when they had just launched and since then the company has really flourished. It’s easy to understand why. Their reasonably priced candles are housed in adorable tin cases, each with a colourful label which makes them look simply adorable and the scents are gorgeous. 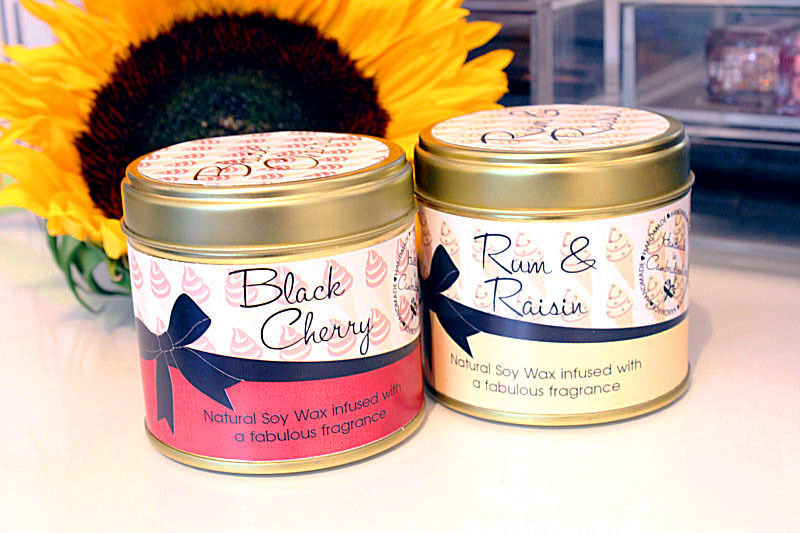 Lovingly handmade in Cambridgeshire, the candle range has quickly expanded and contains lots of gorgeous, unique scents including the Ice Cream Parlour Range. I just love the names given to the collections and the brand itself, Kiss Air Candles. They are adorable! I have two candles from the range, namely Black Cherry and Rum and Raisin. Both are worlds apart but equally as delicious. Rum and Raisin reminds me of Summer days by the seaside. The scent is hearty, rich and sweet and without doubt smells good enough to eat. It has a strong hint of vanilla which fills the room and it lingers in the air for hours. 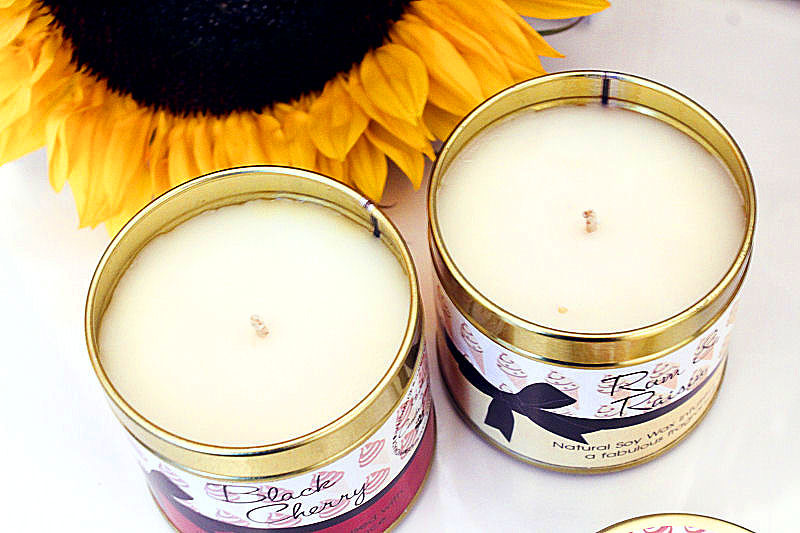 Black Cherry is also a gorgeous scent, and is one I often reach for when picking candles. I’ve had this scent before by other brands so I was keen to see how this one compares. Every sniff of this fragrance takes me back to my childhood when I used to spend my Summer holidays with my friends down the road enjoying the sun and playing games. Most days the ice cream van would pop by and I would pick a cherry ice – this candle smells like it’s double. It is sweet and fruity but not overpowering. It also has depth and smells smooth and luxurious. I’m a big fan of Kiss Air Candles and I would definitely recommend them. They are long lasting, burn evenly, strong scented and simply delicious. If you get one of these you are definitely in for a treat! If you like the sound of these candles or fancy a peak at the others that are available you can take a look at the Kiss Air Candle website. Large tins are £8.50 and small tins are £5.00. They make perfect gifts for friends and family who are candle fans too! 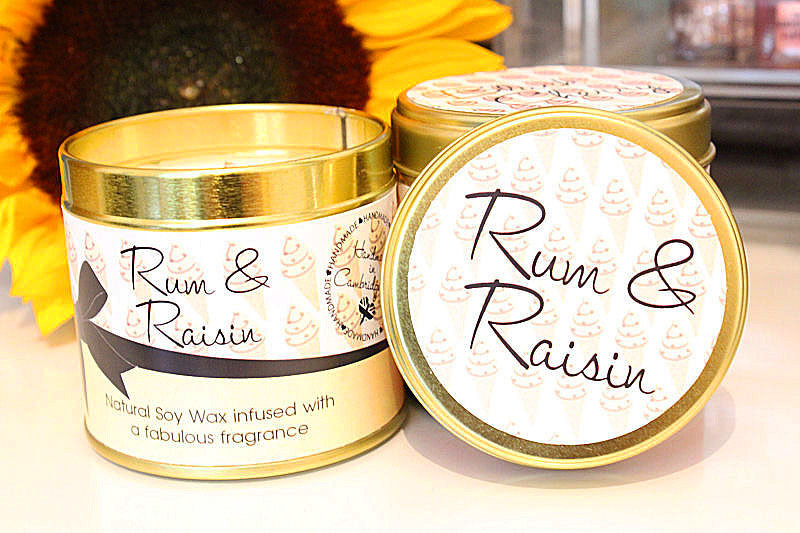 The next scents I have my eye on are Toffee Apple and Pina Colada… yum! What do you think of the Ice Cream Parlour Range?